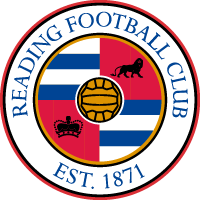 This coming Sunday sees a huge game for Kelly Chambers’ Reading side as they compete with WSL rivals West Ham United Women FC for the right to take on the winners of the other semi-final, Manchester City or Chelsea, in the SSE Women’s FA Cup Final at Wembley on Saturday May 4th (kick off 5.30pm). The club are offering transport on Sunday to Adams Park from the Madejski (where parking will be free) for just £5 – please see the club website for further information. The game is live on the BBC (Red Button and iPlayer). It will be a stern test indeed for the Royals who only managed to take one point off their East London rivals in the WSL this season. 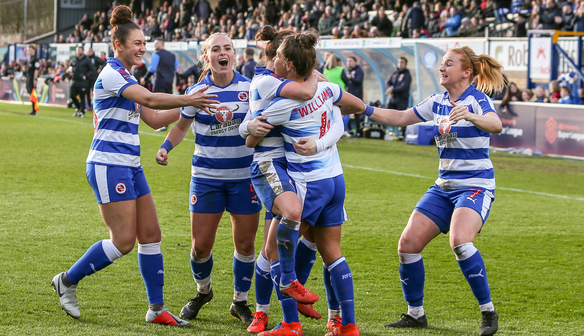 After a goalless draw at the Hammers’ Rush Green Stadium back in September, Matt Beard’s side came to the Madejski back in February when two goals from Swiss striker Alisha Lehmann earned them a 2-1 success with Fara Williams netting Reading’s consolation from the penalty spot. Just one place and one point separates the sides in the WSL – Reading are in 6th place with the Hammers in 7th. The Hammers have played one game more. Leading scorer for the East Londoners is the experienced former Manchester City Scottish international Jane Ross with a total of 10 in all competitions. Clearly the Royals will need to be at their very best if they are to get through to next month’s Wembley showpiece. Your support this season, home and away, has been fantastic. Do come along and support the side on Sunday as they look for their first victory over the Hammers. Your support is very much appreciated by everyone at Reading Football Club.